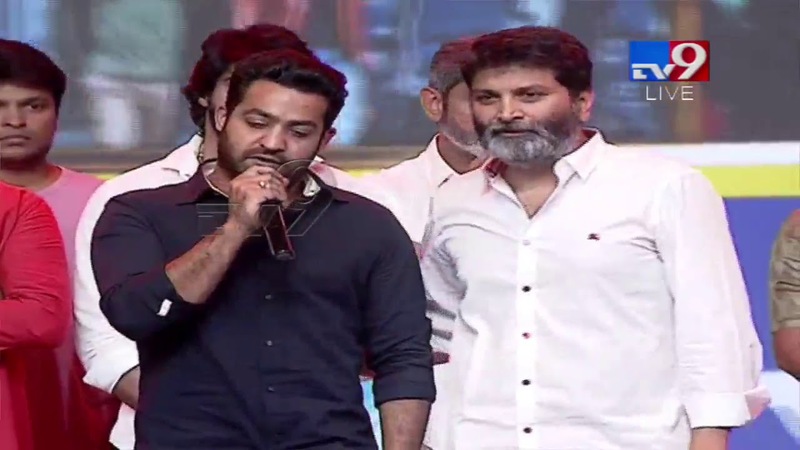 As expected, the pre-release event of Aravinda Sametha Veera Raghava went on in a full emotional mode. From the beginning to the end, Jr NTR is seen controlling his tears. The actor felt that his father is between themselves wishing the film unit a big success. While he is speaking for the first time after his father’s death, he spoke what he wanted to convey. Jr NTR said that it was a dream of 12 years for him to work with Trivikram. He recollected incidents of them coming forward for a film but things not working out in a desirable manner. But, Jr NTR has brought in the destiny angle to his life and for the film shaping up. Tarak said that he has never acted in a scene where he has to do the final rites for his father in a movie. He calls it destiny and said that he did the film with Trivikram only after having the maturity to understand life.